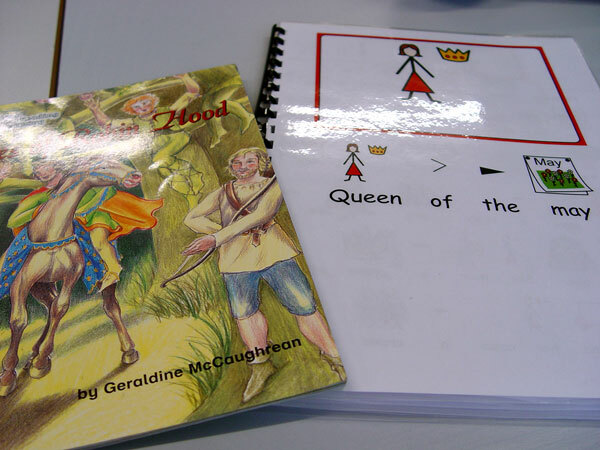 As part of our guided reading sessions, Class 12 have been working on different interpretations of the classic Robin Hood story. We have a number of resources in within Turney School to help the different levels of reading within the group. Some of our young adults have been working off a more traditional text, whereas others have enjoyed following the story using a Communication in Print copy of the book. Together we have been able to explore the characters and plot, and to try and see what message we can find within the classic Robin Hood story. You can hear a couple of the Class 12 members talking about the book in the podcast below.